Part of my New Years #thive2016 resolution is ensuring the whole family thrives. So over the weekend I thought we should do a typical family activity. We should make a craft. But special needs crafting ideas are hard to come by. Not only do both my kids like to make things, Allie gets to work on some of those “therapy skills” when she’s doing crafts at school. Why not do one at home? I found an easy craft over at The Inspired Home and rounded up all the supplies. This isn’t something we’ve done at home much so I had no idea what to expect. I even tried to google “home craft ideas for kids with intellectual disabilities” and “special needs crafting” but no luck. 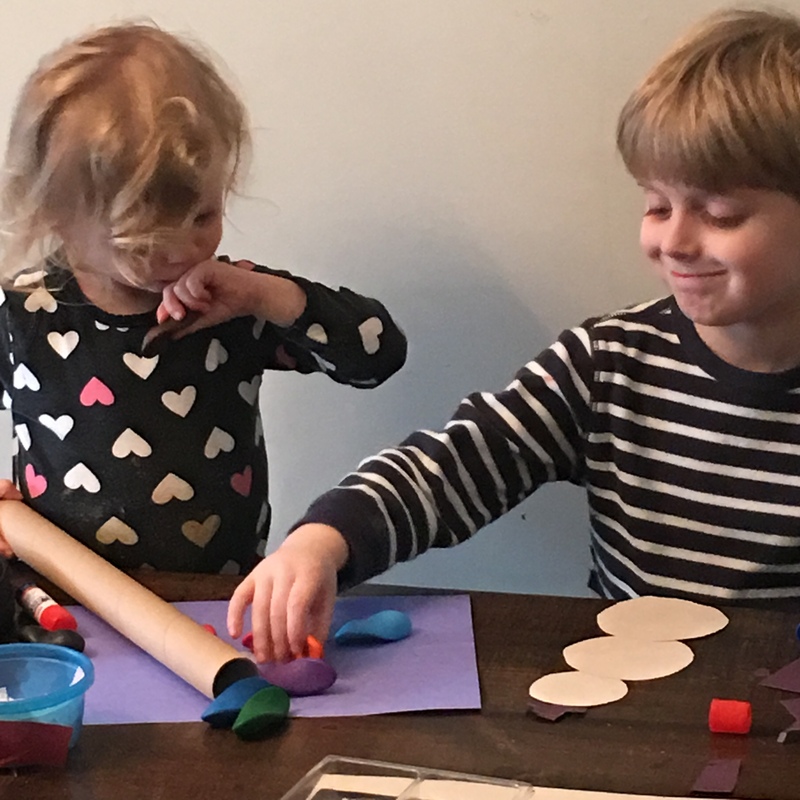 When the time came to prep the craft, my 6 year old son decided he WAS NOT making a heart. Off to a great start. 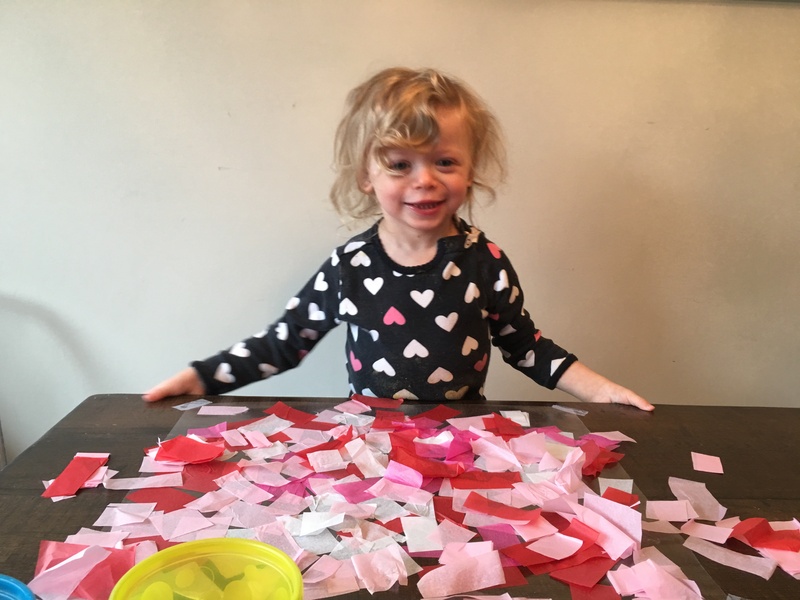 I got everything ready and tried to show Alma how to make her heart but she was much more interested in dumping the bits of tissue paper and peeling up the tape to release the contact paper. There was a time not long ago when I would have packed it all up and yelled “forget it” (not proud of this) but instead I showed Alma again. And again. And again. I handed her individual bits instead of letting her dump the container. We sang a song as we stuck down the bits. My husband came to give me a hand with the cover contact paper so we could focus Alma and finish that part. 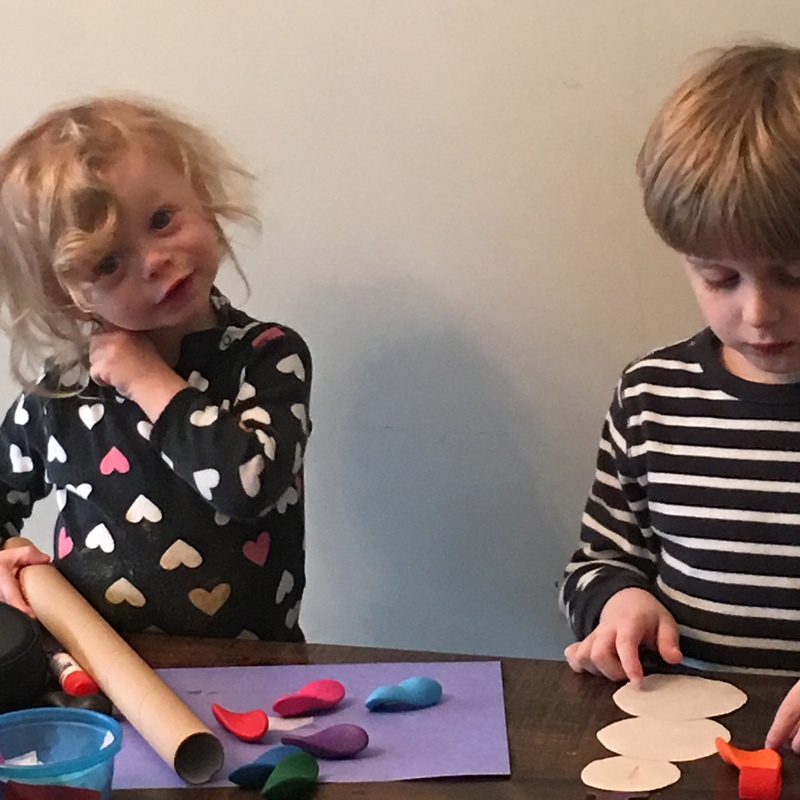 My son came over to talk about the craft he DID want to do, so we got that stuff out and he and Alma sat together laughing and bickering and glueing and fighting over the safety scissors. They shared. I helped my boy glue a snowman. I hung Alma’s heart. I also felt a weight lift from my heart. We’re just a regular family doing regular things. Making decorations for Valentines Day. Screwing it up a bit. Feeling proud anyway. 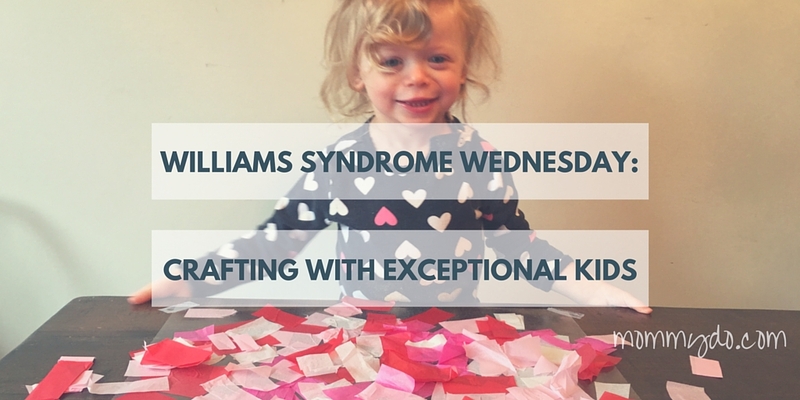 I hope the next person to google “home craft ideas for kids with intellectual disabilities” sees this post and decides to throw caution to the wind and make Valentine’s Hearts from The Inspired Home or some other neat thing that catches their eye on Pinterest. I hope they don’t wait to try something like I did, or search for a special list of special ideas for special kids. Every craft a kid makes is special. Learning that undivided attention, some time to horse around, and seeing our proud faces as we hang up their creations is just what they need? That was pretty special too. 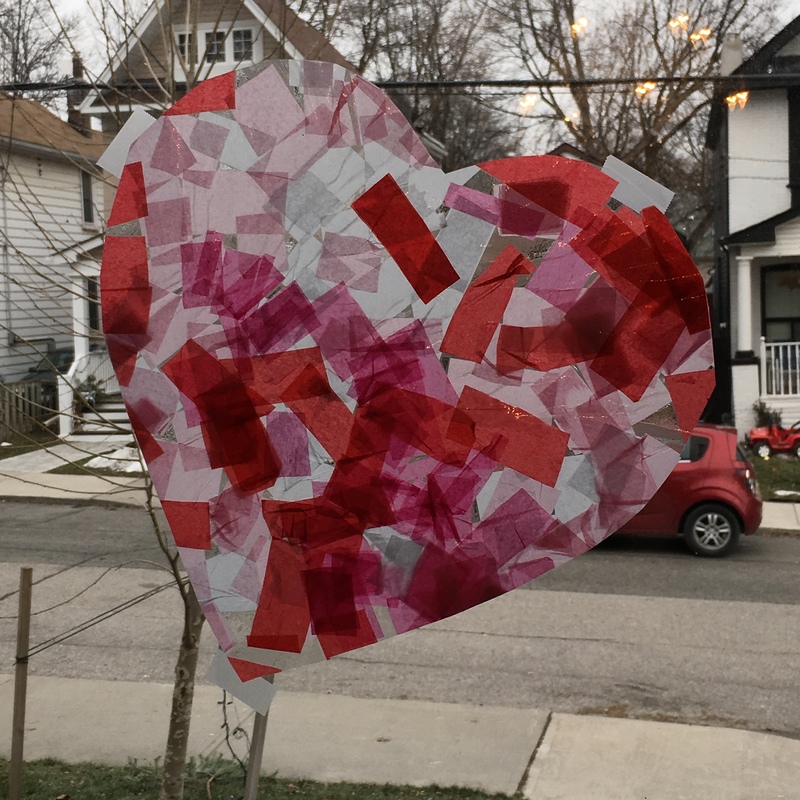 If you’re interested in making the Valentines Day Stained Glass Toddler craft, head over to The Inspired Home for all the supplies and instructions. It looks like they are having a lot of fun!